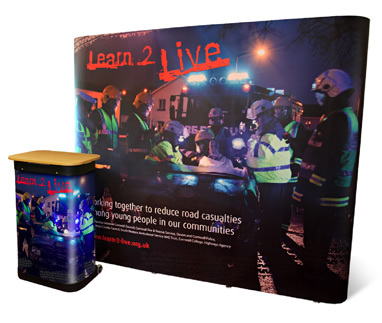 Our exceptional and totally magnetic Pop-up displays offer high quality adaptable presentations that are incredibly easy to erect. They are a top branded product with a lifetime warranty on the hardware. Our straight profile PopUp Display System combines high quality hardware, printed graphics and excellent value for money. This tried and tested pop up will provide years' of service within the exhibition hall and other promotional settings. It's quick and easy to use by just one person and stows neatly into the wheeled transit case for safe storage and easy transportation. The case fits into most saloon and estate cars. No tools are required to erect the display stand as both the pop up frame and the graphic panels lock into position with the clever use of magnetic technology. Ordering is easy. We're on hand to help organise your artwork and make buying your Pop Up Display with us a positive, hassle-free experience. 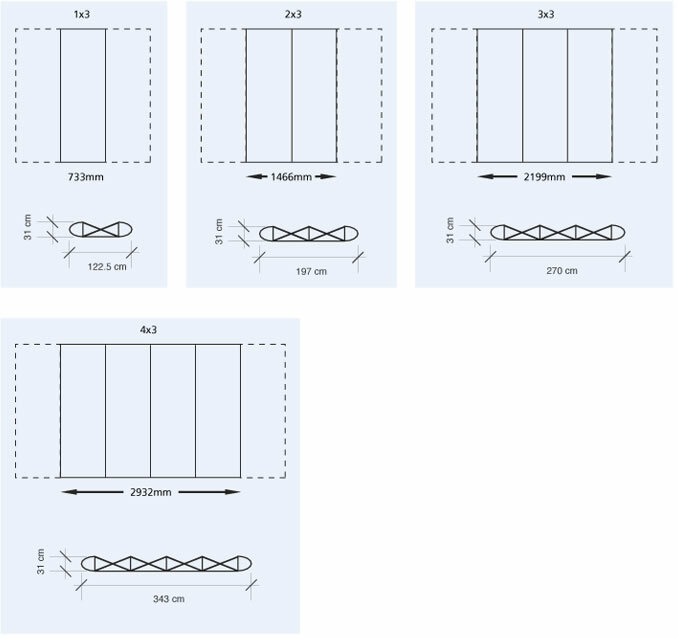 Each system can consist of between 1 and 5 graphic panels depending on the space you have available, each panel measuring 733mm wide x 2230mm high.